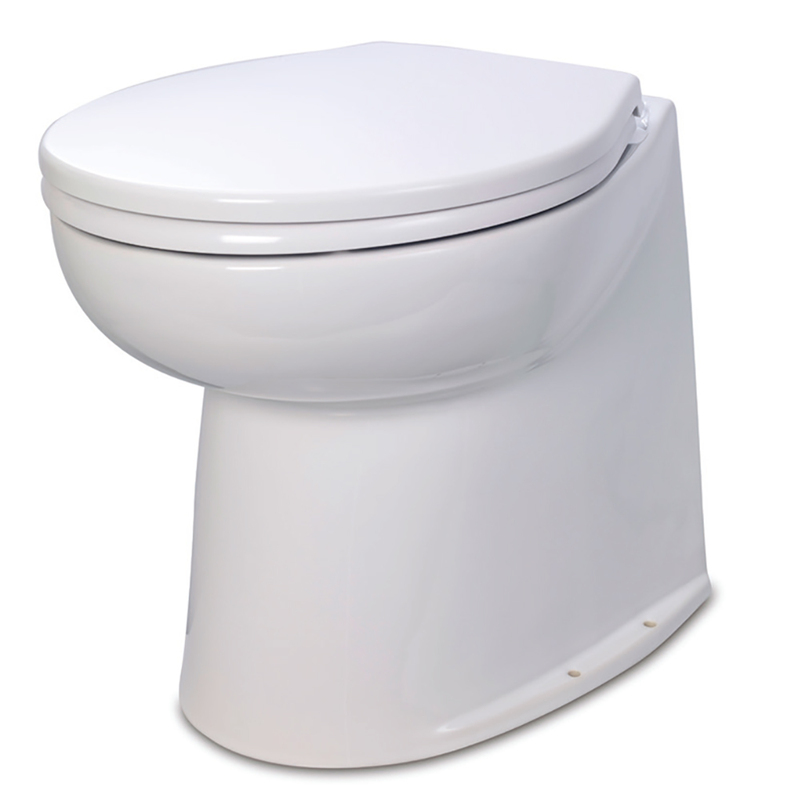 Jabsco's top-of-the-line electric toilet, the Deluxe Flush, is designed to conceal the flush pump, wiring and plumbing, while featuring a full-size household seat. It‘s available in 14" or 17" models, both with the choice of a straight or slanted back. The straight back version fits snugly against a vertical bulkhead, while the slant back version mounts against a slope or in a corner, giving it a smaller footprint. Models designed for boats without adequate pressurized water systems feature a remote mounted, self-priming rinse pump that brings in sea, river or lake water for flushing, and includes a pump guard strainer.